We all have to start somewhere. For me, it was working at a beachside eatery, hawking marked-up cheeseburgers to Bennys in Hawaiian shirts. Now look at me! I'm a moderately successful internet writer who's much more inclined to devour cheeseburgers than schlep them. But what about the super-elite, the billionaires worthy of Bond-villian status? Surely not all of them were born with a silver spork in their mouth. After doing some digging, I've come to discover that many influential entrepreneurial wiz kids came from meager beginnings. From McDonald's staff to Christmas Tree salesmen, here are 25 of our favorite billionaires and the stories of how they made their first dollar. Before this ecstatic-looking guy was winning rings and crushing the egos of small business owners, he sold garbage bags door-to-door. At age 12, he wanted a job, and his dad gave him some garbage bags, and told him to go sell them, naturally, as any good father would do. Apparently, he was a disco dance instructor in college, which is just about as unprofitable as door-to-door garbage bag salesman. Glad he found his niche, eventually. Before His Airness took flight, he had the not-so-glamorous job of maintaining a hotel in North Carolina during high school. "You miss 100% of the leaves you don't rake." Michael "Dude, you're getting a..." Dell, is the founder of a computer company you have definitely heard of. He started one of the biggest tech conglomerates in the world, but he got his start washing dishes in a Chinese restaurant at age 12. The mercurial emperor of Virgin started his kingdom breeding and selling birds to fellow schoolmates, before going onto seasonal work—shelling Christmas trees to would-be revelers, all at the supple age of 11. Just for perspective, I couldn't walk and chew gum at the same time until I was 15. This mega-mogul who has his well-equipped hands in Tesla, PayPal, Space X, and many more highly modern-sounding companies got his start in his mid-teens designing and selling his own video games. Now he's paying to build his own space shuttles—so yeah. Best. Life. Ever. The Amazon.com Founder and delivery drone enthusiast cut his entrepreneurial teeth beneath those ubiquitous glowing arches, doing minor tasks like re-filling ketchup and grilling burgers. Bezos actually reflects very fondly on his days at McDonald's, and credits part of his later successes to the lessons he learned while working under Ronald and Co. The Microsoft CEO and LA Clippers savior got his start at Duncan Hines' Moist & Easy Cakes and Brownies as an assistant product manager. Similarly, I earned the nickname "moist and easy" in high school after an unfortunate cake incident. The owner of Dole (the people who give us bananas), this 91-year-old magnate dropped out of high school in the ninth grade and picked up work at a local gas station before moving onto bigger aspirations. I can say with all certainty that Murdock is the only gas attendant ever to go on to form a multibillion dollar fruit and juice company—it's just not a natural transition. Kevin Plank, founder of athletic wear company Under Armour, earned his first Washington at age 10, when he made some cash mowing neighbors' lawns. At 14, he moved on to selling knit bracelets at Grateful Dead concerts—which is pretty much the antithesis of Under Armour. The dude who created every device we use in our lives was hired as a summer employee by Hewlett-Packard while Jobs was in his early teens (this is where he met fellow Mac founder, Steve Wozniak). Maybe if I could go back in time, and analyze his stint there, I could finally somehow figure out how to connect my MacBook to my HP printer in under three hours. The late, prolific real estate mogul who made his fortune with properties throughout the Virgin Islands initially made his dough selling popcorn next door to a movie theater, slightly undercutting the price. Genius. The Jedi Master and legacy-ruiner taught U.S. Navy cadets documentary filmmaking while he was earning his own degree at USC. Rumor has it, he went back in his memory and turned the Navy cadets into astro-droids, using some CGI. The Ukrainian founder of the immensely-popular WhatsApp is a tale of true inspiration for anyone with humble beginnings. After immigrating to the States with his mother, he helped make ends meet by sweeping the floor at a local grocery store while she was battling cancer. Koum left college for a job at Yahoo, and since founding the sans-SMS messaging service, has seen his net worth spike considerably. There's a smug, condescending exception to every rule, and Zuckerberg is ours. One of the few self-made billionaires that didn't undergo a professional failure or ten, Mark's first job is his current job, owner of Facebook, purveyor of privacy, and source material for one really good David Fincher flick. 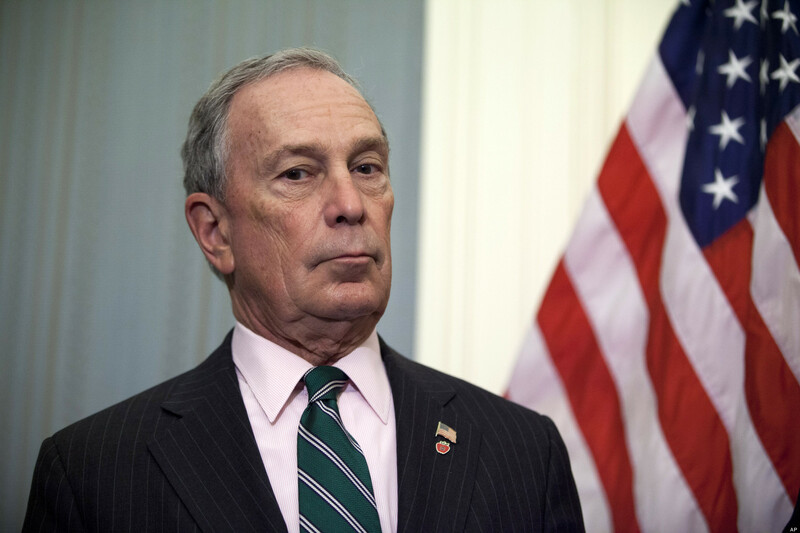 Michael Bloomberg, the billionaire ex-Mayor of Gotham, got his first gig as a parking attendant while he was an undergrad at Johns Hopkins University. This was before he set his sights on battling oversized soda containers. When he was 15, Gates got a gig debugging energy-grid control software for aerospace firm TRW Inc. And that is how you get rich. As a kid, Warren Buffett delivered papers for the Omaha World-Herald. When he got older, he bought the entire paper. Hopefully it was all an elaborate, slow-burning revenge plot to finally fire that other delivery boy he hated so much. 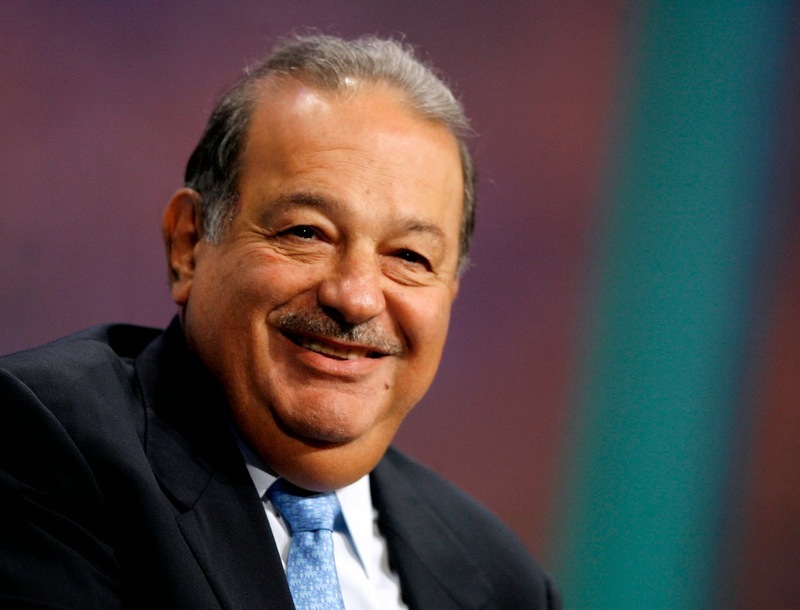 Carlos "Don't call me Fatboy" Slim Helú is one of the richest-of-the-rich, and he got cracking early in life, snatching up shares in Mexican banks at the tender age of 12 (EVERY BILLIONAIRE EVER GETS HIS START AT 12). Helú is also a heavy proponent for the three-day workweek, which makes him very okay in my book. The only person on this list that can go by her first name only, the O started her colossal empire as a mere grocery store clerk, back when she was in high school. This was before she gained the transcendent ability to make everyone in the world either want to be her, be with her, or at least want to be a member of her live studio audience. 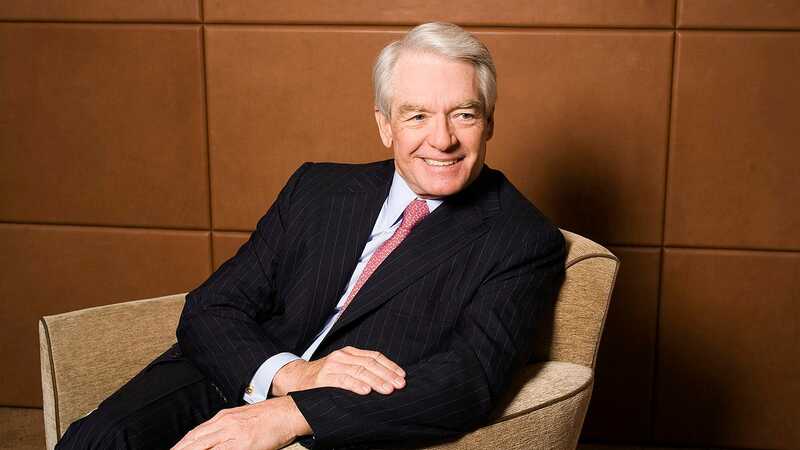 Charles Schwab, owner of the eponymous banking and brokerage company, took the leap into entrepreneurialism by sacking and shelling walnuts. There just isn't a job market out there for walnut sackers anymore, is there? Ortega, the fashion-retailer maestro who holds a steady slot as one of the world's top three richest men, began his journey to immense wealth by helping out a shirtmaker in his hometown of La Coruna, Spain. Since that initial spark was lit, Ortega has gone on to found Zara, the world's biggest fashion retailer. The mind that famously spawned Harry Potter on the back of a restaurant napkin landed her first job teaching English in Portugal. Did Portugal's incredibly lax drug rules give Rowling some magic inspiration for Harry's quirky world? Maybe! Phil Knight, co-founder and chairman of Nike, was so miffed when his dad (publisher of the now-defunct Oregon newspaper, The Oregon Journal) denied him a job that he decided to pick up and go to the rival Oregonian, where he would spend his night shift tabulating sports scores. Just do it, I guess. By the far the oldest (and richest!) person on this list, Mr. Rockefeller got his start in the world of enterprise as an assistant bookkeeper for a small produce commission company. Decades later, hundreds of people still wait in line for a chance to skate on his ice rink during Christmas in NYC. Okay, so JC is a little short of being a true Billionaire, so let's just consider him an honorable mention and assume either Avatar 2 or the discovery of a new Titanic helps him over the hurdle. Plus, this mega-director quit his job as a commercial truck driver to enter the film industry, where he made such historical fiction period pieces as Terminator 2: Judgement Day and True Lies. Wil Fulton is a staff writer for Supercompressor, and he's a little upset he didn't work harder when he was 12. Follow him @WilFulton.